PLEASE NOTE: OVERNIGHT PASSES ARE SOLD OUT. LIMITED DAY PASSES LEFT. 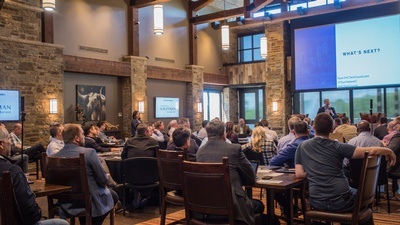 The CEO Retreat is one of the KC Tech Council's most exclusive events. 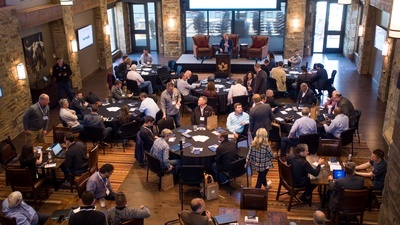 Invitations are highly sought after, and previous attendees are eager to return. 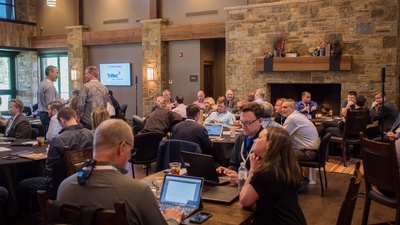 More than sixty local leaders come together to learn from industry influencers, network with fellow CEOs and of course, retreat. ​Registration | 9:00 a.m. - 9:45 a.m. Program concludes | 12:30 p.m. Arrive | Thursday, May 2 by 9:00 a.m. Depart | Friday, May 3 by 1:00 p.m.
* Early Bird Rate concluded one month prior to the event. After that date, rates increased. *** In order to attend, you must be the Chief Executive Officer or the highest ranking local official. Your company must also be a member of the KC Tech Council. All tickets include meals and activities.